The classic Black cab is a famous vehicle not just in London but throughout the UK. 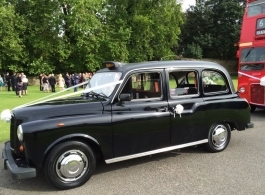 The classic Fairway is now sought after and is indeed ideal as wedding transport. 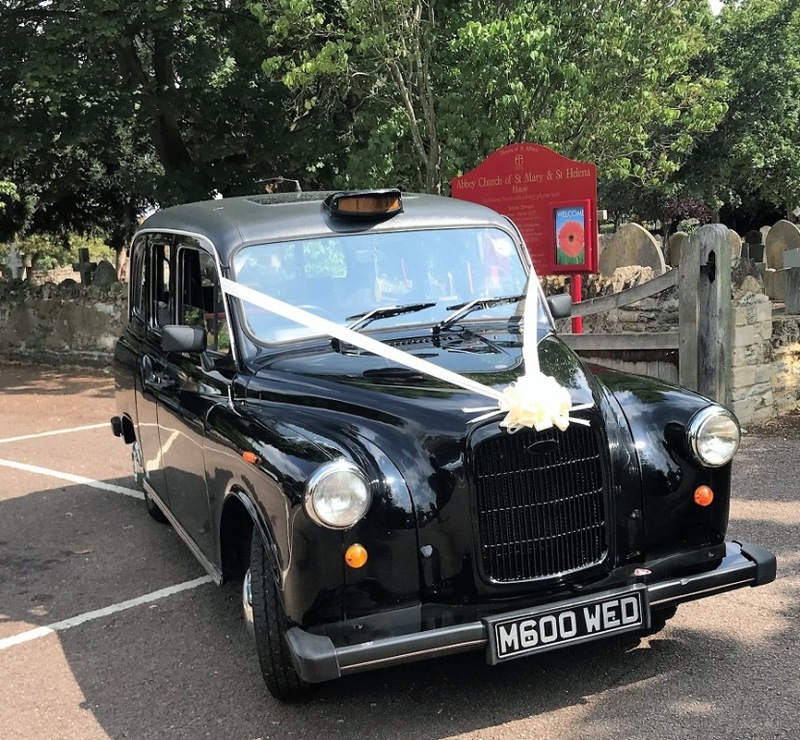 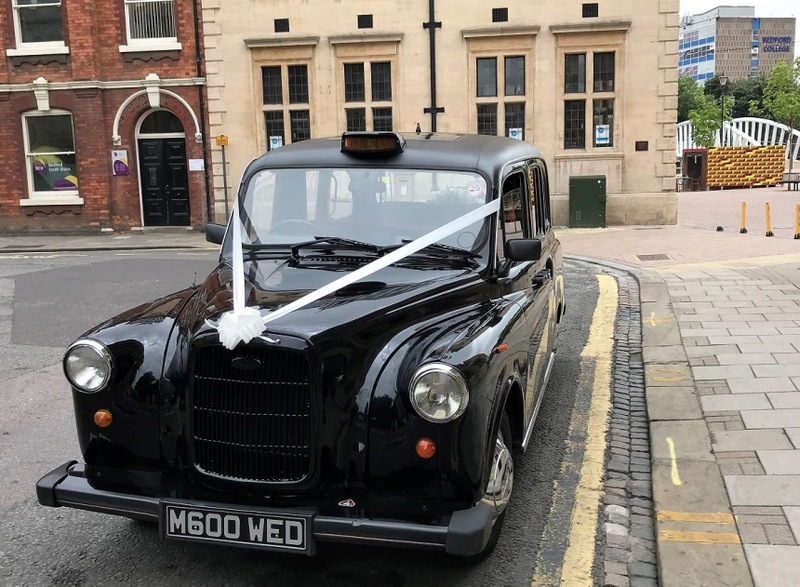 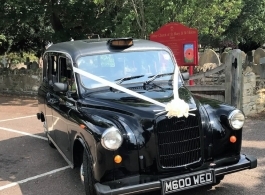 This Black London Taxi looks lovely with White ribbons and is also a great contrast to a traditional White wedding dress. 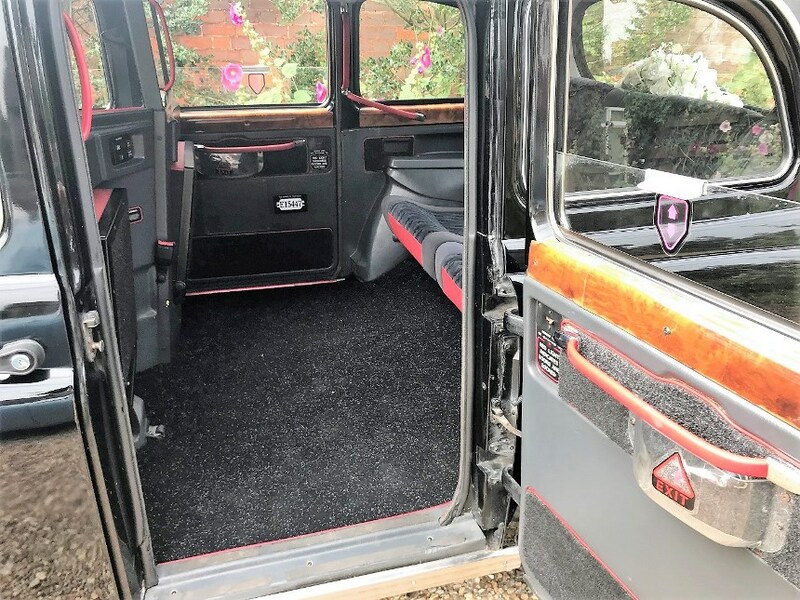 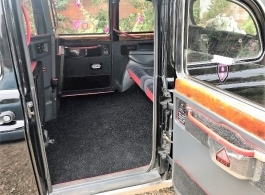 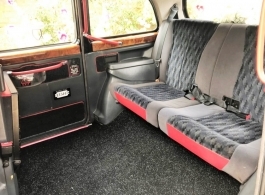 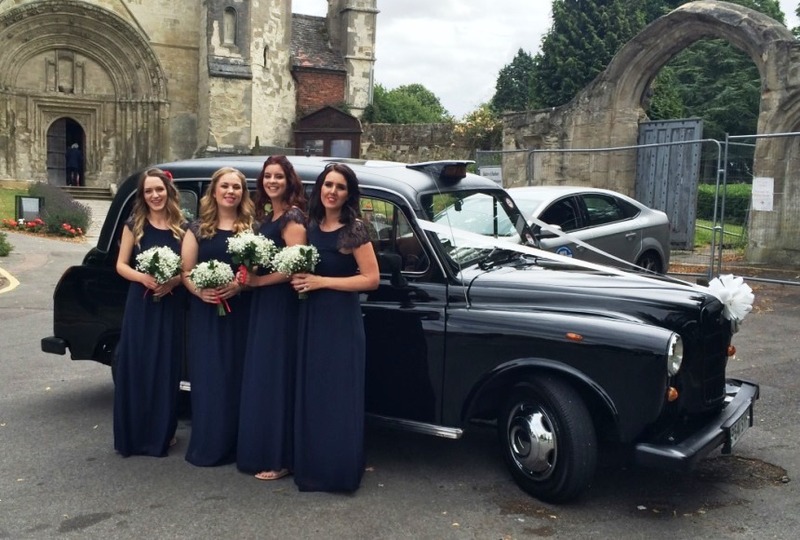 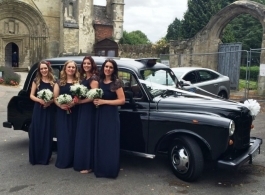 From a practical point of view, the wedding Taxis are a great choice of wedding vehicle as they have lots of space, perfect therefore not just for the bridal party but also for bridesmaids, pageboys, family & friends etc and with the added benefit of having whhelchair access.